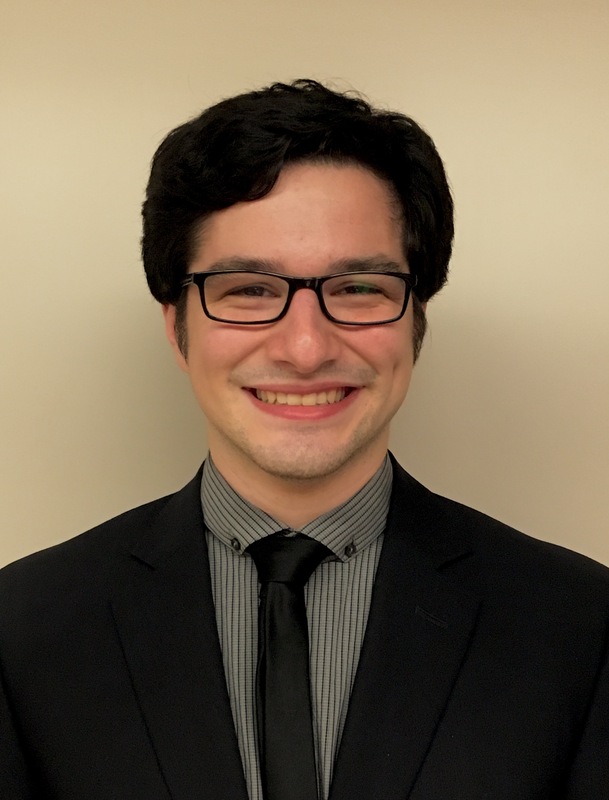 David Garavito, graduate student in the Law, Psychology, and Human Development Program, under the supervision of Dr. Valerie Reyna, is working with communities in New York and around the country with support from an Engaged Cornell grant for student research. He is working with coaches and student athletes to study the effects of concussions on decision making about risks. For his dissertation research, Garavito is developing a model based upon Dr. Reyna’s Fuzzy Trace Theory (FTT) which integrates research on Alzheimer’s dementia (AD), behavioral economics and decision making, and neuroscience to study the perception of risks associated with sports-related concussions among people vulnerable to chronic traumatic encephalopathy (CTE). Garavito and undergraduates in the Laboratory for Rational Decision Making are working with a growing number of students, coaches, and administrators from high schools and colleges in New York (including Watkins Glen and Moravia high schools, Cornell University, and Ithaca College), Colorado, and Minnesota. Engagement with sports communities has provided the team with the opportunity to educate--and listen to-- the public about current research on concussions and how values or principles can affect perceptions and decisions about concussion risk. Garavito has found that coaches are very supportive of research projects that aim to help keep athletes safe and further knowledge about concussions. Many athletes have enthusiastically agreed to volunteer in Garavito’s studies. The student team also has been working with the Ithaca Youth Bureau and the experiences of coaches and educators at the center have been essential in the development of interactive activities to teach youth about the brain and concussions. The ultimate goal of the concussion intervention is to strengthen healthy values and educate people about risks, and the importance of reporting symptoms of concussions. Chronic traumatic encephalopathy is a form of dementia, like Alzheimer’s, which results in an accumulation of tau proteins in the brain, however, the onset and progression of CTE is related to a history of concussions. Athletes in contact sports are particularly vulnerable to CTE because many athletes fail to report concussions and their symptoms – a very risky decision that could result in brain damage and cognitive impairment. Using the FTT framework, Garavito and his team of undergraduates are studying this underreporting phenomenon. Although current research on the underreporting of concussions has brought about the creation of laws mandating concussion education nationwide, research based on FTT has shown that not all education programs are equal. How people process information can have a profound effect on how they make decisions (Mills, Reyna, Estrada, 2008; Widmer, Wolfe, Reyna et al., 2015). Dr. Reyna’s research has shown that adolescents are more likely to rely on verbatim, surface-level details, whereas adults tend to rely on qualitative reasoning and the bottom-line gist of information (Reyna & Farley, 2006; Reyna, Estrada, DeMarinis et al., 2011). For example, if told an athlete has a 2/3 chance of having another concussion if they go back out on the field after having had a concussion on the same day, adolescents make their decisions about risk by considering the numbers and take the chance in order to play more sports because the benefits, to them, outweigh the risks. Adults, on the other hand, get the point that the mere possibility of a catastrophic injury, no matter how small, of getting another concussion (which could result in permanent brain damage or death), is not worth the risk for more playing time. This difference in information processing has not been studied in the underreporting or the perception of risks in sports-related injuries. Many educational programs emphasize the acquisition of verbatim fact-based knowledge in the hope that these details will help the public understand and make better decisions. Unfortunately, this can lead to the opposite effect – giving people more detailed information causes them to engage in greater precise deliberation and leads them to take unnecessary risks. Football players, for example, may know verbatim facts about the symptoms of concussions, but still “gamble” by not reporting their symptoms, instead of choosing the “sure thing” of being safe and reporting them. This risky decision-making among athletes, in turn, is exacerbated by impairment from prior concussions. Currently, Garavito, Dr. Reyna, and their team of undergraduates, are using scales based on FTT, to test several important hypotheses. These scales are sensitive measures that can detect if a person is relying more on categorical than fact-based thinking. Fuzzy Trace Theory predicts that categorical or gist-based thinking is more developmentally advanced and can deter people from taking dangerous risks. Garavito hypothesizes that adolescents affected by cumulative concussions may rely less on categorical thinking than non-concussed adolescents. This could lead concussed adolescents to engage in greater risk-taking, in general. Garavito and Reyna are studying whether FTT measures can cue developmentally advanced categorical thinking. Cuing adolescents to engage in categorical thinking will lead them to approach dangerous risks like adults, and is consistent with Dr. Reyna’s research on other types of risk-taking behavior (Reyna, Wilhelms, McCormick et al., 2015). Nora Rabah is a Biology and Society major in the College of Agriculture and Life Sciences. Allison M. Hermann is the Research and Outreach Manager for the Laboratory for Rational Decision Making. Thomas W. Craig is the Law, Psychology and Human Development Program Assistant. David Garavito is a graduate student in the Law, Psychology, and Human Development Program at the College of Human Ecology. Posted in Students in the News and tagged Allison Hermann, chronic traumatic encephalopathy, concussion, CTE, David Garavito, decision making, Engaged Cornell, FTT, Fuzzy-Trace Theory, Nora Rabah, risky decisions, Thomas Craig, underreporting on February 21, 2017 by Allison M. Hermann, Ph.D..